Jacksonville Jaguars wide receiver Allen Robinson is one year removed from putting up 1,400 yards and a league-leading 14 touchdowns. It was then that the Penn State product seemingly found a good relationship with young quarterback Blake Bortles. Then, last year happened. Robinson put up just 883 yards and caught less than 50 percent of the passes thrown in his direction. The lack of production was primarily due to Bortles’ regression under center. 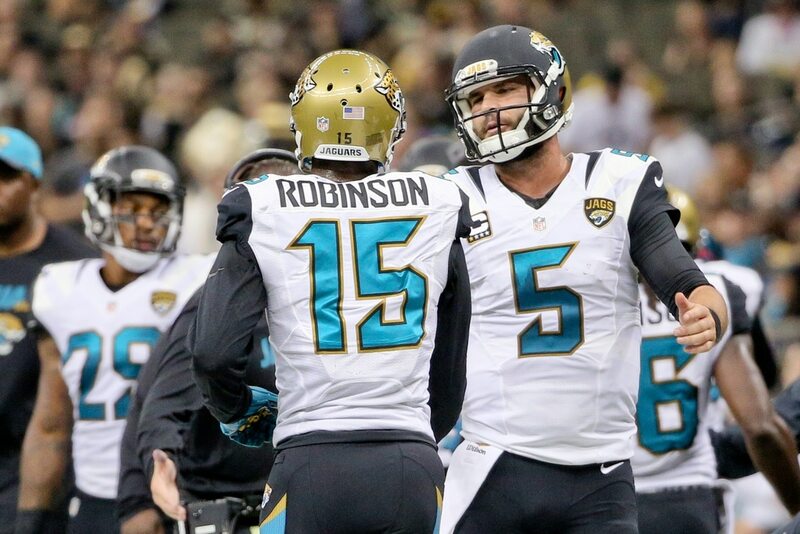 As Bortles enters a seemingly make-or-break 2017 campaign, it appears that Robinson is a tad frustrated with his quarterback. Here, you will see Bortles loft a pass up to Robinson down the right sideline. Unfortunately, the erratic quarterback could not keep the ball in bounds. In lieu of showing the video (and Robinson’s less-than child-friendly comments to Bortles), here’s a link to the play. We’re paraphrasing here for all of you kind souls out there. The issue here with Bortles is accuracy. He’s struggled in this aspect of the game throughout his three-year career, leading to a whopping 51 interceptions. Obviously, Robinson is pretty much fed up. Can we blame him?